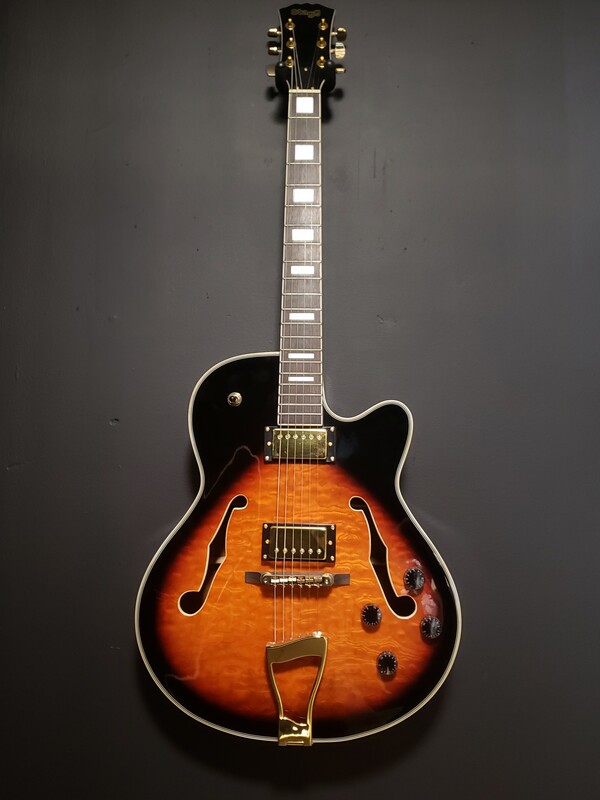 Stagg "Jazz" style Semi-acoustic model electric guitar is a perfect choice for any level of musician. Constructed of high quality Maple wood and a Rosewood fingerboard, this guitar features the classic "Jazz" style bridge configuration. With two individual pickups and the guitar already having been strung, this guitar is ready to play out of the box. Tune it up and play away.